The Knowledge management is a fundamental and complex process for nowadays organizations. There are several factors that affect its implementation, in practice; the low motivation of people belonging to organizations imposes an interesting challenge to multiple research trends and areas. The approach addressed in this paper to encourage and facilitate people engaged in such process is termed gamification. Gamification is based on games principles. It is useful for solving engagement issues within organizations applied in processes. 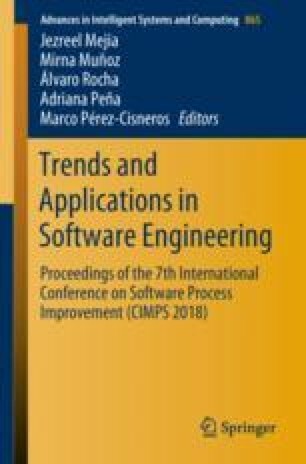 This paper introduces an adapted model to the conditions of software organizations allowing identification, creation, application, transferring and evaluation of knowledge, using gamification principles. Model application and obtained results are discussed and analyzed, allowing its repeatability by the reader. It was concluded that results of the presented research-in-progress are promising.